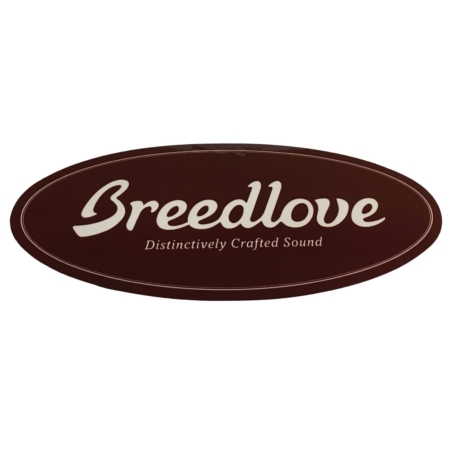 Breedlove began in 1992 with a focus on experimenting with creative designs and distinctive aesthetics. By using such innovations as graduated top thickness and a bridge truss system, Breedlove has produced some incredible unique instrument designs. The tiny company has since exploded and has become a major player in the guitar market offering Breedlove guitars, Breedlove basses, and Breedlove mandolins in a wide range of prices. They continue to push the envelope with their exclusive proprietary body shapes – the Concertina, the Concert, and the Concerto, as well as a technique of “Sound Optimization” where Breedlove measures the density of the tonewoods and adjusts the thickness to give every piece of wood its individual best musical potential. Give us a call or stop by our store to try out these fantastic instruments!